Spoiler alert! This article discusses key plot points from the base game. Like most Star Wars stories, Star Wars Battlefront II is about family. 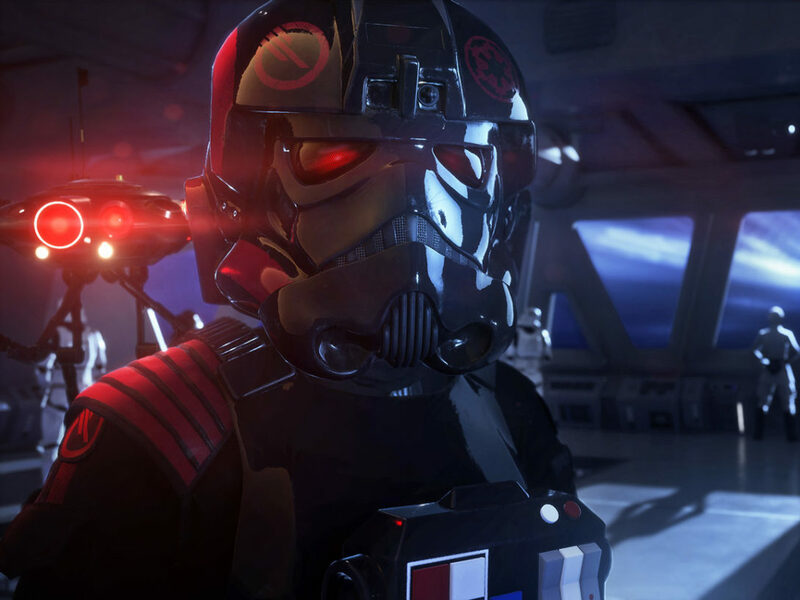 In the game’s main campaign, players get to witness the aftermath of the Empire’s defeat at Endor in the role of Iden Versio, commander of the Emperor’s elite special-forces unit, Inferno Squad. After being ordered to exfiltrate the Imperial world of Vardos, Iden’s homeworld — while the Emperor’s chosen raze the planet from orbit — Iden and Del Meeko make a difficult choice: to leave the Empire and its broken ideals behind. Doing so earns them the trust of Lando Calrissian, Leia Organa, and others within the New Republic that’s risen from the many worlds that suffered under Imperial rule. 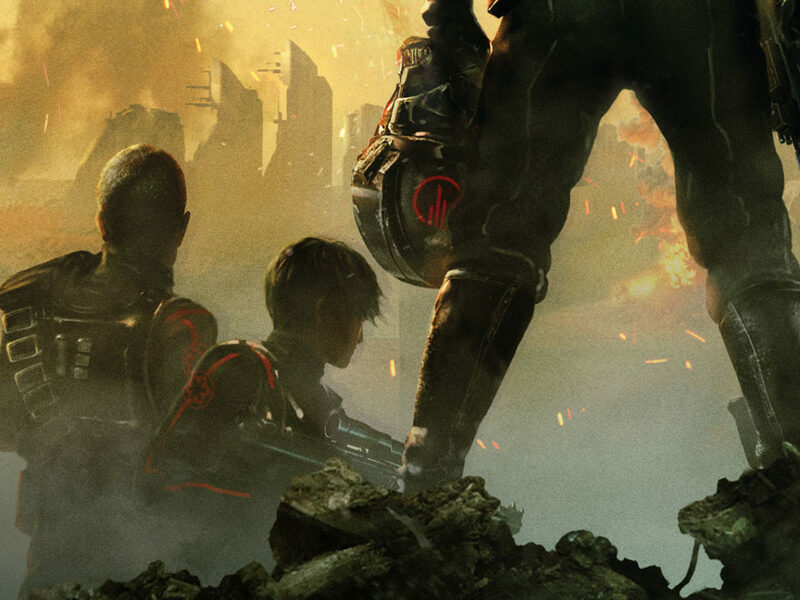 However, it also forces them to turn their backs on Gideon Hask, the third member of Inferno Squad, whose loyalty remains with the Empire. 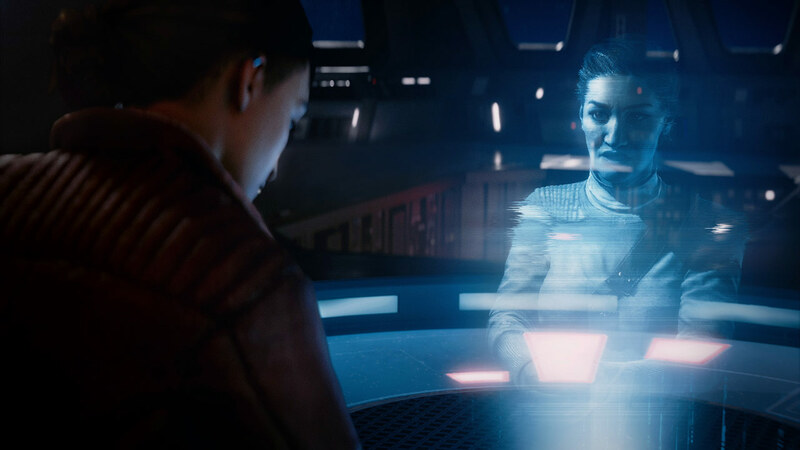 Del, having found faith in the Force during a chance encounter with Luke Skywalker on Pillio, bravely continues to follow Iden’s orders when she betrays Hask — as well as her father, Admiral Garrick Versio. 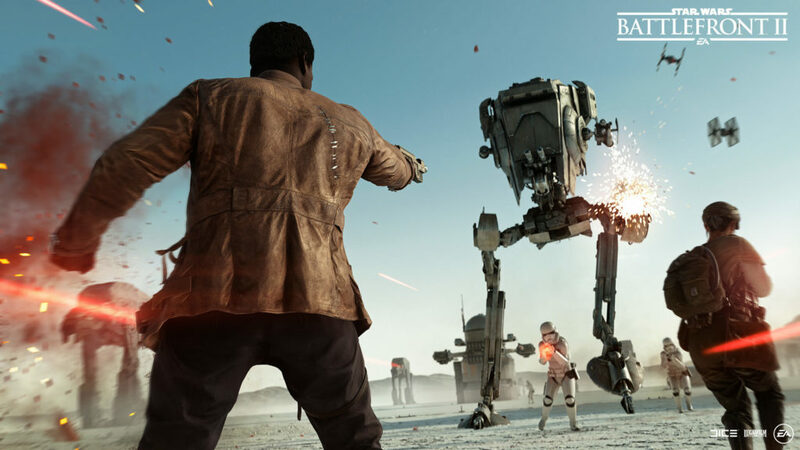 At the Battle of Jakku, Iden and Del fight for the New Republic, distinguishing themselves as heroes. 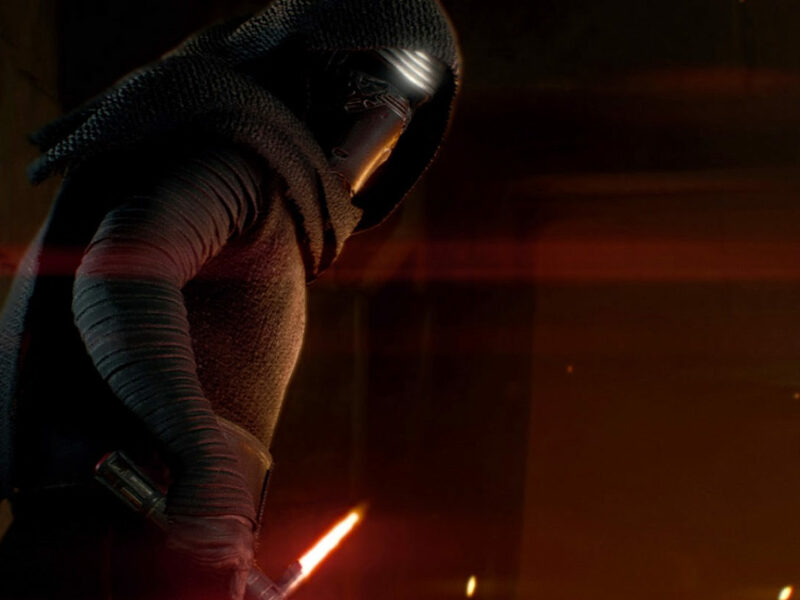 Eventually, the First Order traces Del back to Pillio, where Kylo Ren plunders his memories for the possible location of Lor San Tekka, the only person who might know the whereabouts of Skywalker, the last Jedi. After Ren’s interrogation, Hask reveals himself to Meeko, asking where he might find Iden. 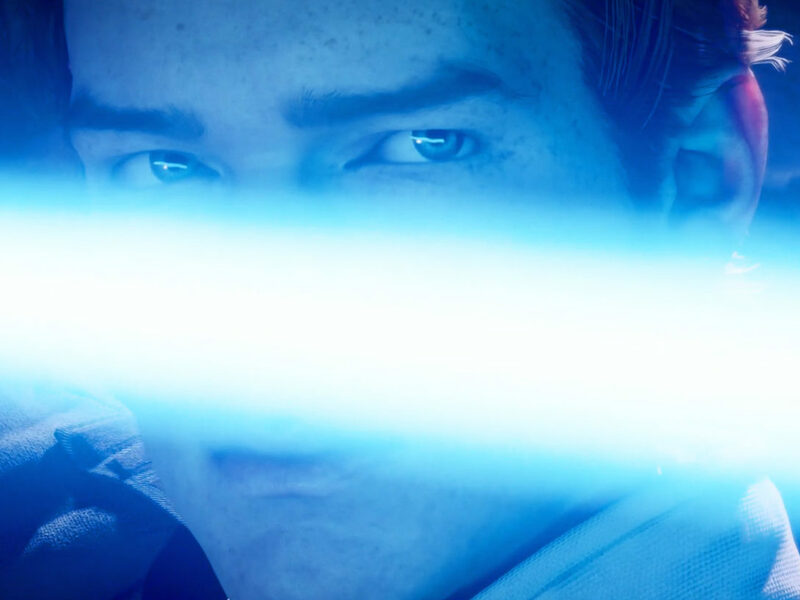 Star Wars Battlefront II: Resurrection is part of EA’s Season One DLC and is the continuation of Iden’s story. “We’re in a period, when the Resurrection DLC begins, where Iden is in a time of peace. 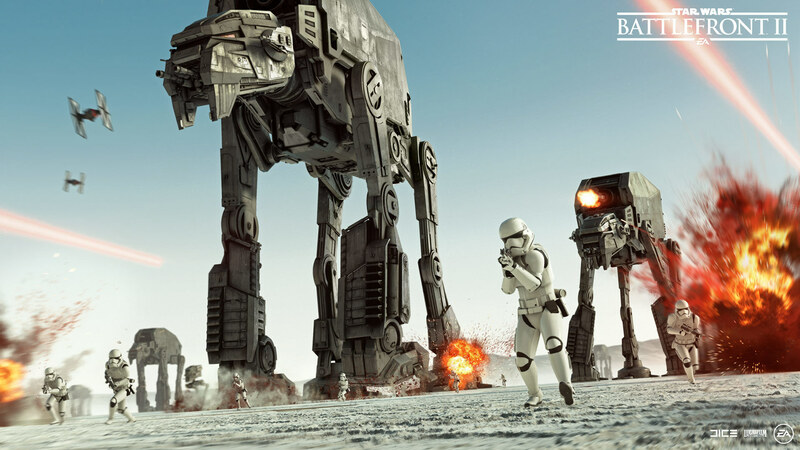 The galaxy is at peace — there is no war,” says Motive’s Mitch Dyer, co-writer of Star Wars Battlefront II. “The way we conceived Zay was, she’s kind of a Star Wars fan! She grows up in a peaceful galaxy, the daughter of two war heroes who have, presumably, a lot of really interesting stories to tell — from both sides of the war. So Zay would’ve grown up knowing that her mother and father fought for the Empire, and had this moment of clarity when they realized that they were functionally brainwashed and needed to reclaim themselves, fight for the right side, and stop the Empire from creating the chaos that they’d sworn to prevent,” Dyer explains. 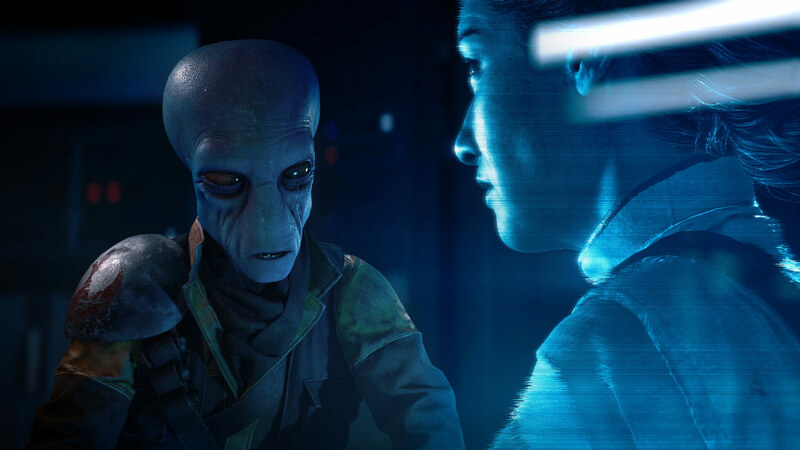 The Resurrection story content arrives as part of Battlefront II’s first season of free downloadable content inspired by Star Wars: The Last Jedi. 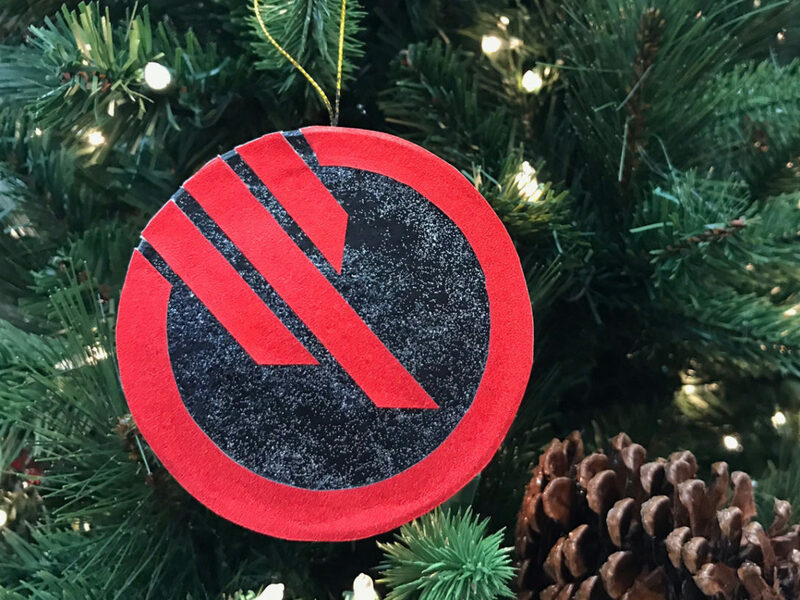 Players not only get to play through the rest of Iden Versio’s story; they’ll also have access to new multiplayer experiences, with new heroes, vehicles, and environments straight out of the film. John Boyega and Gwendoline Christie reprise their roles as Finn and Phasma, respectively, joining the fight as playable characters with unique abilities that speak to who their characters are. 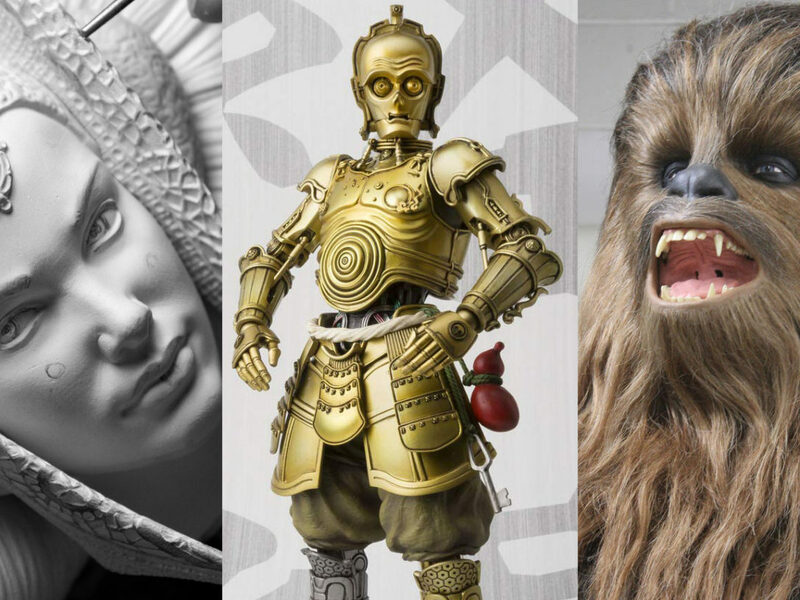 The teams at DICE worked closely with Lucasfilm to nail down the essence of each character, with designers poring over various pieces of Star Wars media for added inspiration. “For Finn, a lot of it is around him being kind of an inspirational leader,” says Paul Keslin, a producer at DICE. “He kind of brings this natural force to him that people just gravitate towards. And we wanted to try to tap into that with most of his abilities, so he has things that will benefit his team. That’s kind of the angle we played with for his character.” In video-game parlance, he’s a “support character” who still knows his way around a blaster. The game’s flagship multiplayer experience, Galactic Assault, now lets players live out a battle on Crait, which is inspired by the events of The Last Jedi. 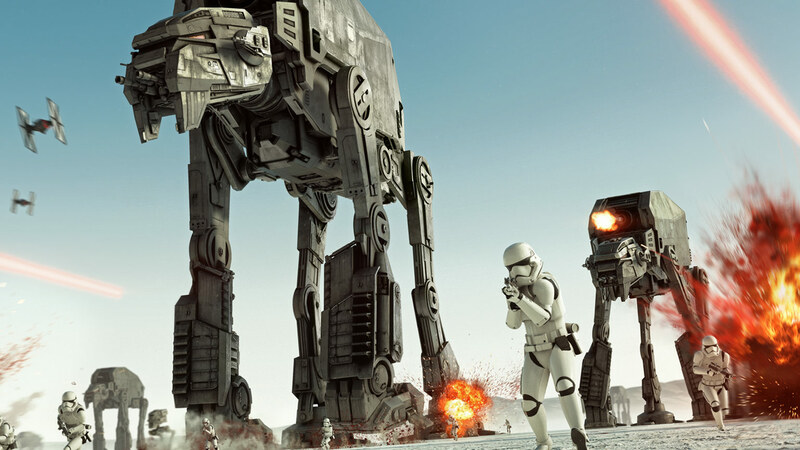 “The number-one thing we wanted to capture was a large battle that will have people coming away from the theater going, ‘Man, I want to be part of that.’ That’s something that we’ve been trying to do with a lot of the content we’ve made in the game, from a variety of movies up until now.” For 2015’s Battlefront, DICE worked with Lucasfilm’s Orion Kellogg and other members of the games team to build various game scenarios depicting the Battle of Scarif, from the still-in-production Rogue One. 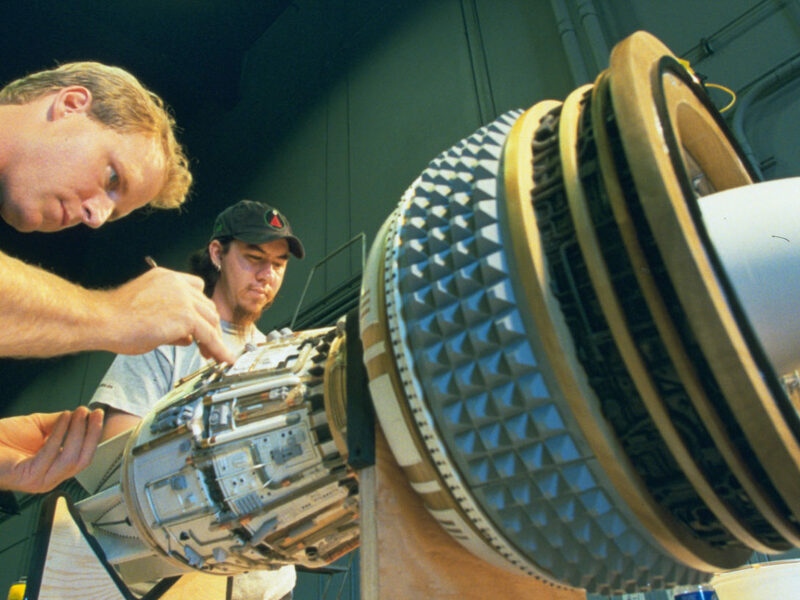 When it came time to do this for The Last Jedi, the real challenge was in crafting vehicles and worlds that hadn’t been seen in a game before — all from a film that wasn’t yet finished. 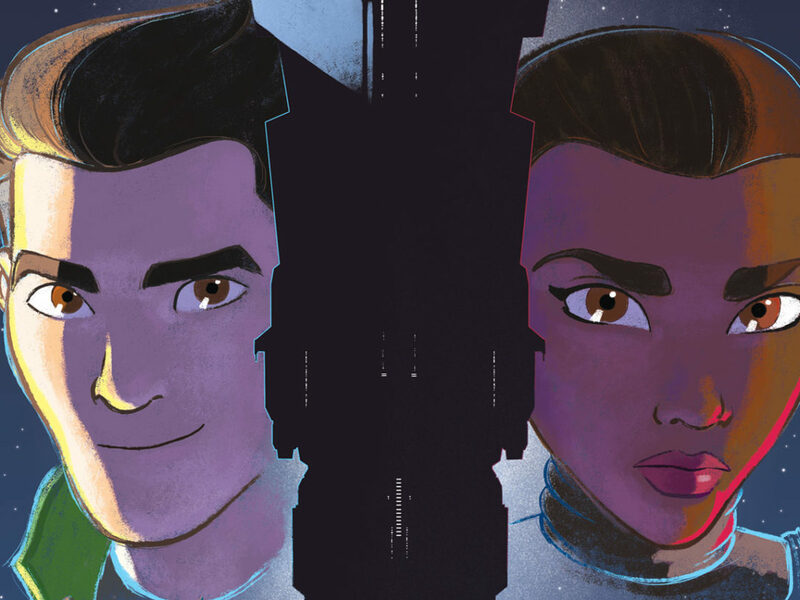 While he’s hesitant to give away too much (“I like to keep Star Wars secrets,” he says), Dyer is proud of the story that he, Williams, and their many collaborators, like Inferno Squad writer Christie Golden, have managed to tell. 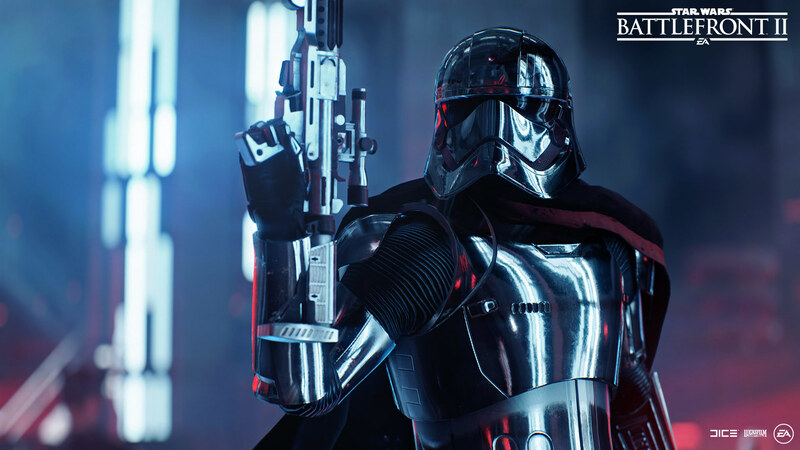 Season One, the Finn and Phasma characters, and the Resurrection campaign DLC are now available as a free update for players who purchased the Star Wars Battlefront II base game. Alex Kane is a journalist based in west-central Illinois. 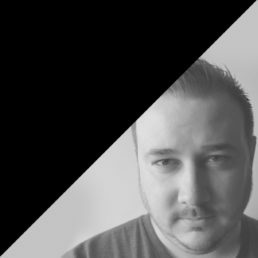 He has written for Glixel, Kill Screen, Polygon, the website of Rolling Stone, and other publications. Follow him on Twitter at @alexjkane.